Obituary for Tammy Woodward | Fletcher Funeral & Cremation Services, P.A. 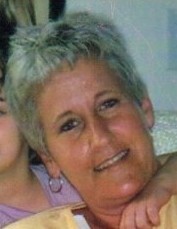 Tammy Woodward, age 55, born on 11/11/63, passed away 4/10/19, at the Dove House in Westminster, Maryland with family by her side. Tammy was a loving daughter to Trish Schuler and Bob Woodward and their spouses; loving sister to Debi Hogarty, Ronnie Woodward, Diane O’Brien, Sean Cummins and their spouses; co-parent with Diane Brown; loving Mama to Casey Brown; loving Aunt, cousin and friend to so many. Tammy loved time with family and friends and spending time at the Beach. We don’t mind saying she was the “favorite” Aunt, because she was a big kid herself, able to befriend people wherever she went. Her caring, loving and accepting heart and her comedic relief will be greatly missed. She always had us laughing. We love you—Rest In Peace—no, we take that back….Keep them laughing in Heaven too! Private Celebration of Life by Invitation. In lieu of flowers to family you can make a donation to Carroll Hospice Dove House 292 Stoner Ave. Westminster, MD 21157.